Sadly, I haven’t been able to travel as much as I did in 2017 – which has probably made me appreciate the few trips I get to do these days even more! 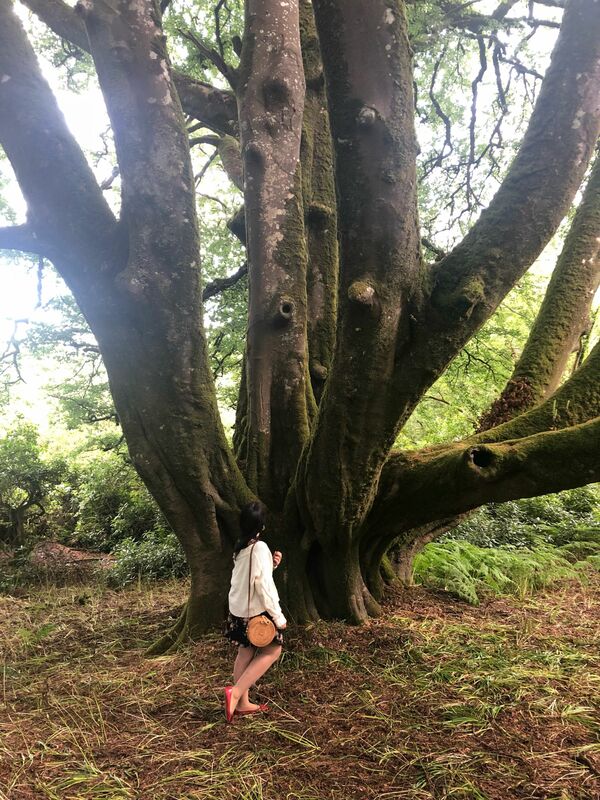 At the end of last month my boyfriend and I went to Cork, Ireland, for one of his friend’s wedding celebrations – and it was epic! 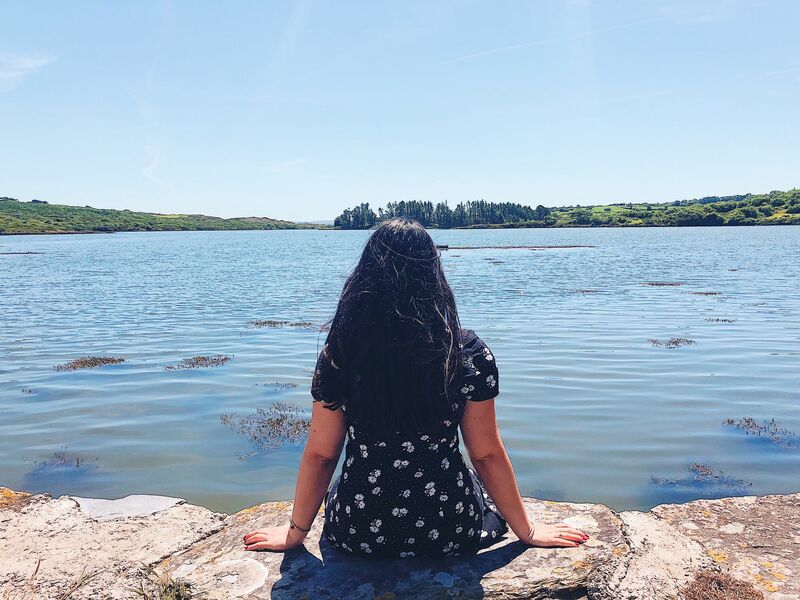 We were there for only a few days but, like last year (I was in Cork last summer as well, you can see a few pictures here), the weather was amazing and I fell in love with Ireland all over again. Dress, Zara. Earrings, Monki. Bag, eBay. Cardigan, Topshop. Shoes, Hobbs. 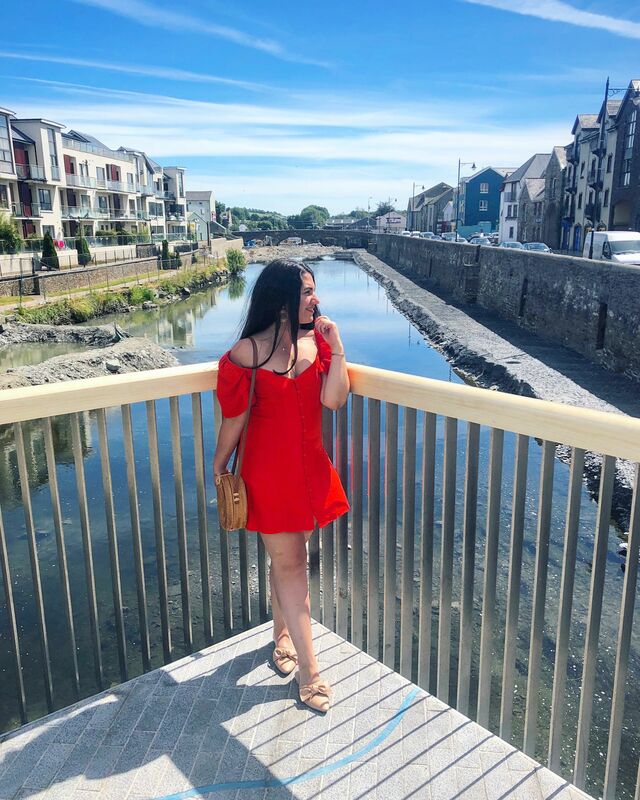 Day 1: We landed in Cork on a Wednesday night and spent the next day walking around the small town of Bandon, the bf’s hometown. It’s a very tiny place but it has a beautiful medieval castle next to a golf course called Bernard castle. As it was burned at the beginning of the 20th century many parts of it are damaged (and basically gone), giving it a little eery and mysterious feel. Whilst I wouldn’t go there when it’s pitch black and on my own (because I’m not a sadist), I love the architectural details and find it so fascinating that I was more than happy to see it again after having discovered it last summer. 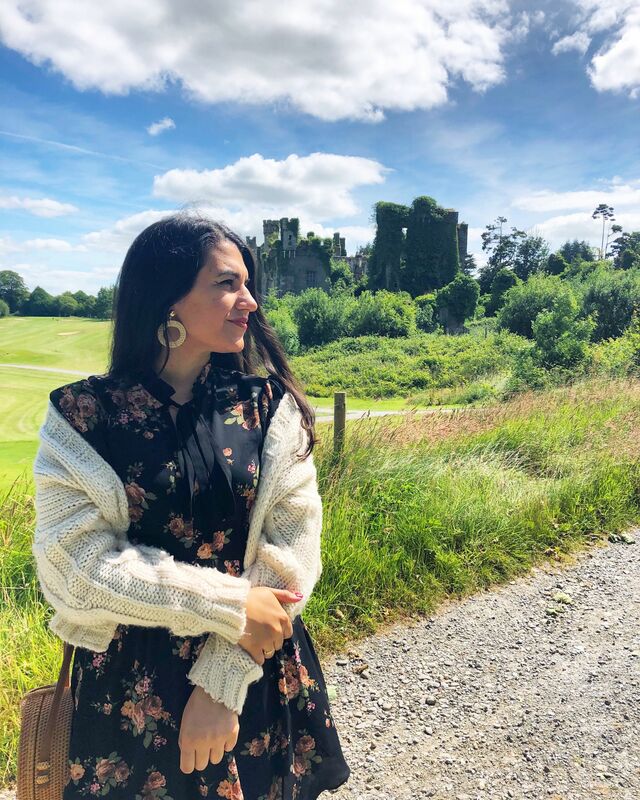 The forest and fields surrounding Bernard castle are beautiful too, so one can definitely make a little expedition out of it. 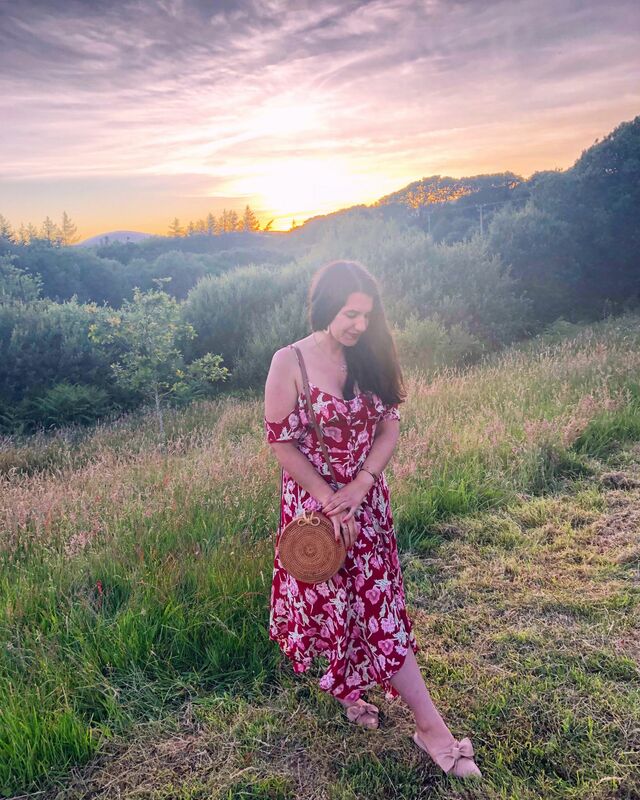 But as usual I didn’t dress how a normal, sensible person would dress for a little wander in the forest and threw on this floral LBD by Zara (bought last autumn) and my trusty old red flats from Hobbs. Because why be practical when you can straight up match the scenery, am I right? Dress, ASOS. Bag, cardigan and shoes, as before. 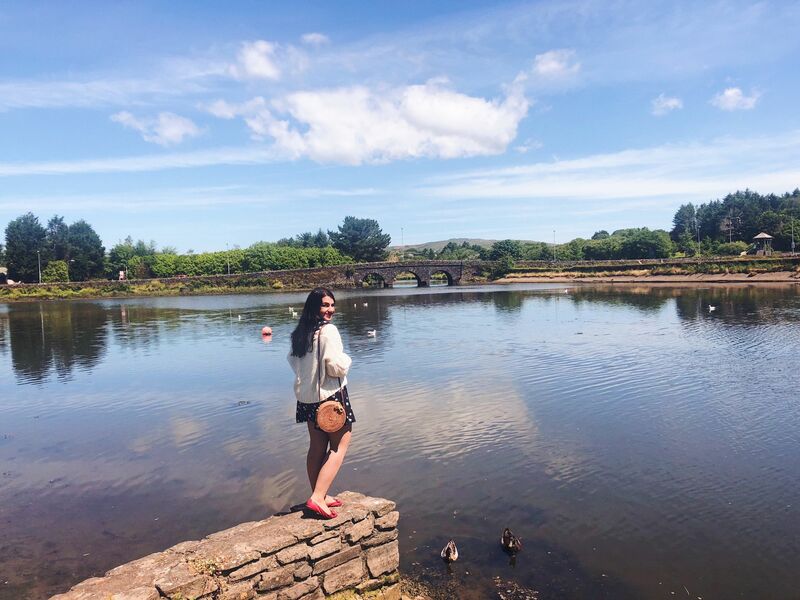 Day 2: The wedding celebration took place in what is probably one of West Cork’s prettiest villages, Ballydehob. A little paradise for vegans and artists, the village itself is very, very small – but nevertheless quite charming and picturesque. 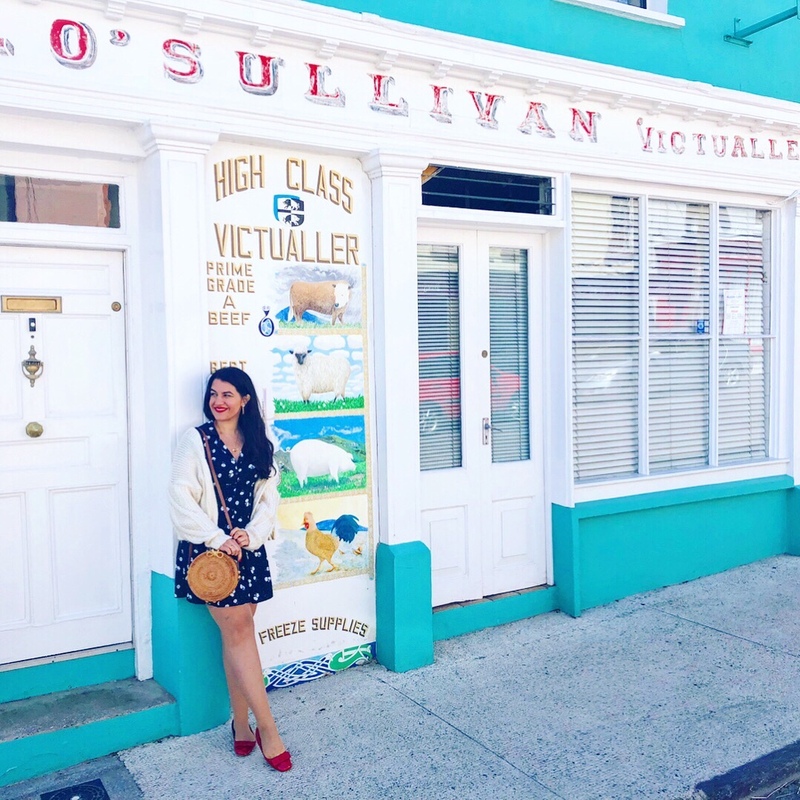 I’m more of a city (or big town) girl for sure but as I love art, vegan dishes (not a vegan but still absolutely love vegan food), the sea and colourful houses, this tiny place surprisingly ticked a lot of my boxes. Dress, Topshop. Earrings and bag, as before. Shoes, Heatons. Day 3: Ah, the dress of dreams. I’ve got into a terrible habit of always buying a new dress for every wedding that comes along. Not so much because I feel like I have to, but because I love any excuse to dress up and treat myself to something new. 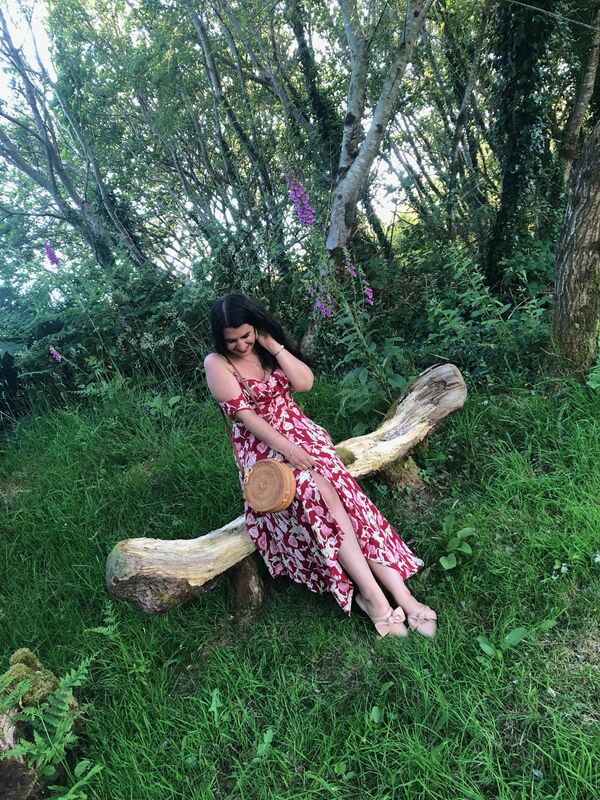 But on this occasion, as I was aware it was going to be a relaxed event in the middle of the countryside, I felt I might as well wear this dress by Topshop, which I bought last summer and still make me feel like an absolute princess (you see the post I did on it here – it’s one of my favourite posts/looks ever). 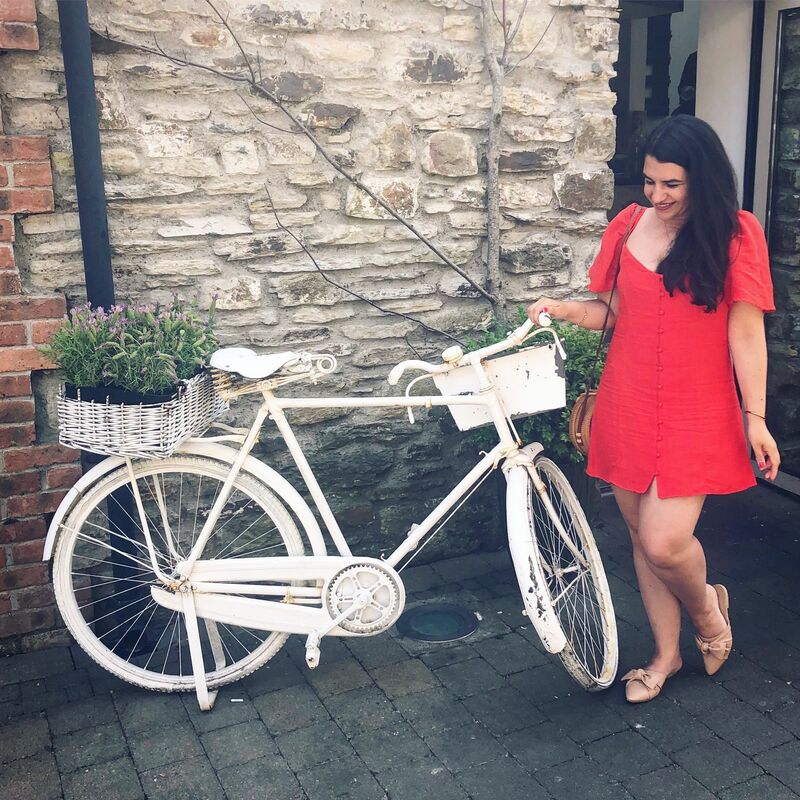 I teamed it with a pair of neutral flats I’d bought two days before in a Primark-esque shop called Heatons and my wonderful basket bag off eBay (which totally screams summer wedding). All in all, I felt like I’d nailed the super-chilled-wear-what-you-want-wedding-party-in-a-small-hippy-Irish-town look. And as for the party itself, it was lovely – super laid-back and in the most beautiful setting, An Sanctoir. Dress, Primark. Bag and shoes, as before. Day 4: Guys, it kills me that I’m not wearing red lipstick in this picture – or any make-up at all for that matter. But this was less than 24 hours after the wedding party and I was dying. Yes, that’s the effect a bad hangover has on me. It takes A LOT for me not to wear eyeliner or lipstick – I can forego foundation, blusher, bronzer, highlight, mascara… but 99% of the time I’ll put on eyeliner and lipstick, even if I’m just going to Tesco. Basically, that’s how crap I felt that day – I didn’t have the energy to put on my two comfort beauty blankets. And then this happened. We got a taxi from Ballydehob to the town of Skibbereen to then get a bus from there back to Bandon. We had some time to kill and this beautiful door was just there, begging me to be photographed. OK, it wasn’t begging as such, but it was definitely teasing. I couldn’t ignore it. 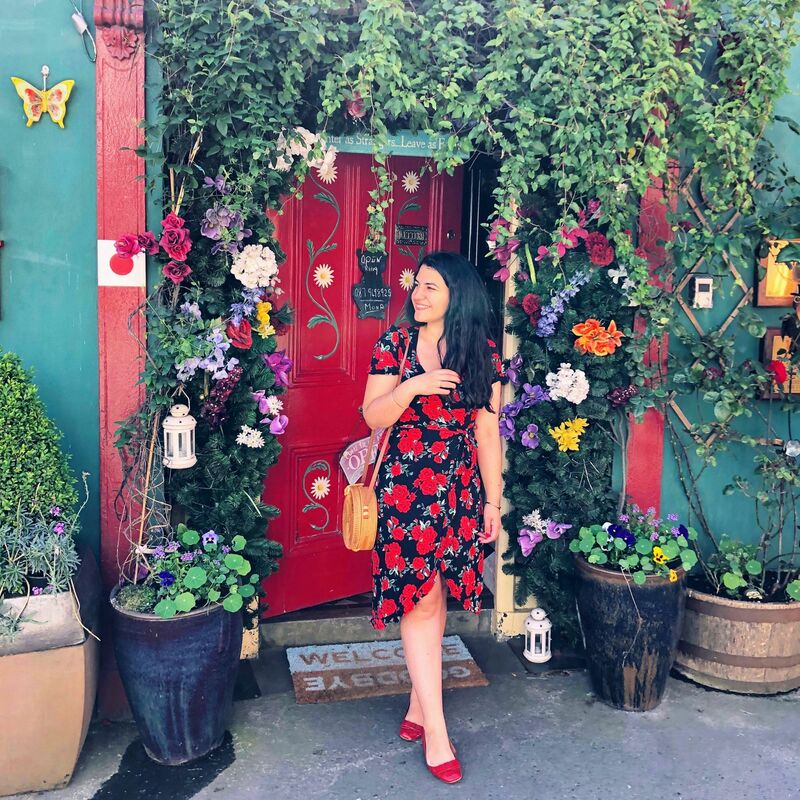 So there you have it – one of my favourite dresses from Primark (bought last summer, seen here), my hangover AF face next to the Irish door of dreams. Nothing that a good filter and a smile cannot fix. Lesson learned? Always wear red lipstick (and no, not drink less). Dress, Zara. Shoes and bag, as before. Day 5: We spent our last day in Ireland wandering around once again in Bandon, discovering the cutest cafe ever that is The Perfect Cup (and I’m not just saying that because of the cute prop bicycle – which does help – the place itself was lovely and the food was good). 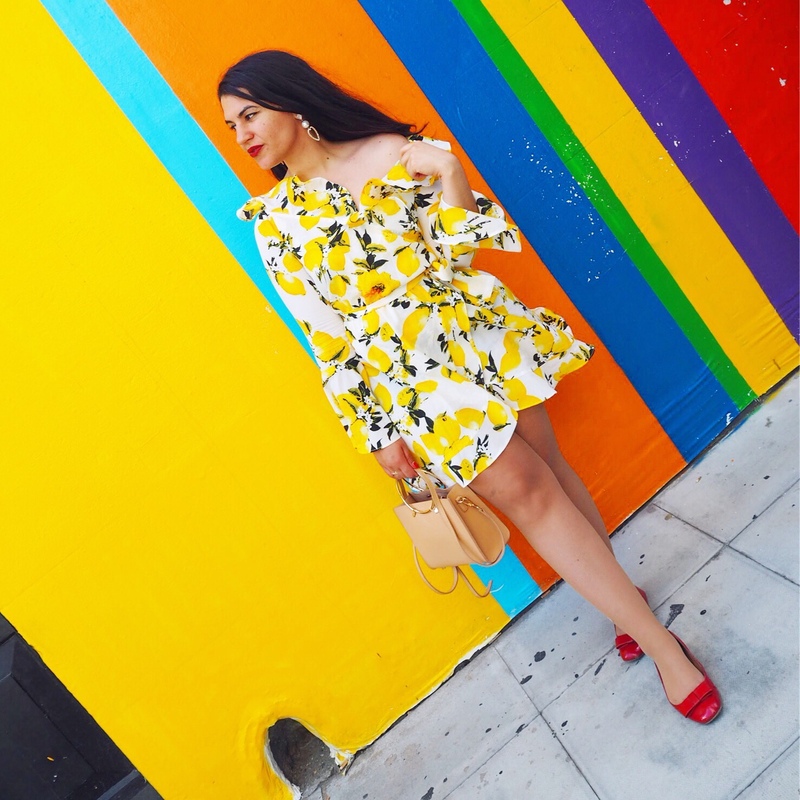 I wore this dress from Zara, bought either at the beginning of June or end of May. It’s been doing the rounds on Instagram and I’m kind of annoyed because it looks fabulous on everyone except me. 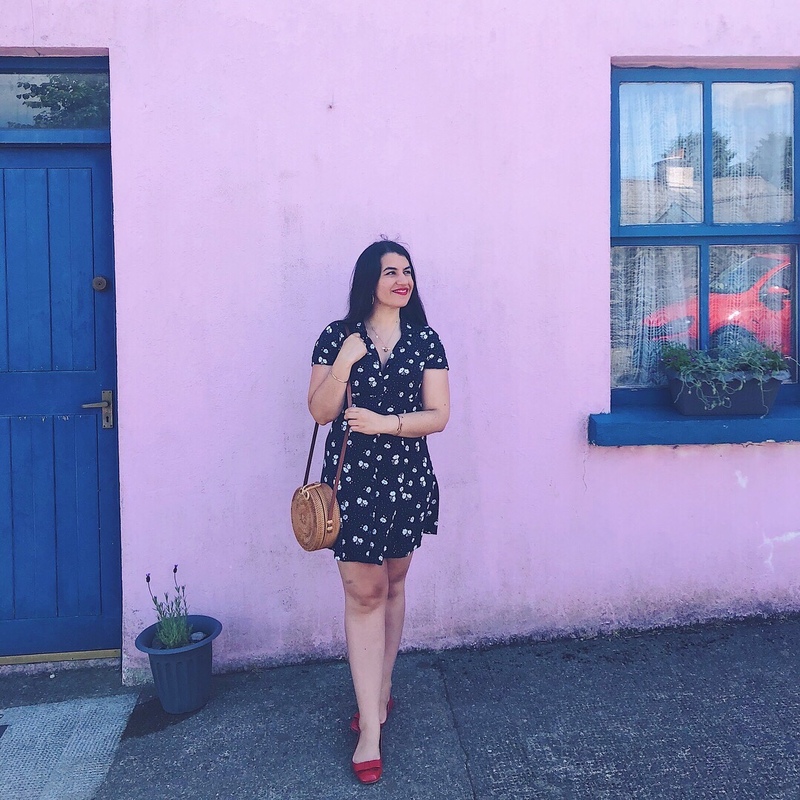 Don’t get me wrong, I do love it and felt pretty cute wearing it, but the fit just isn’t quite right for my average build – and that makes me sad because I want to love it to bits! It’s definitely getting a few more chances though – mainly because I’ve worn it and can’t return it. Dress, Boohoo. Shoes, Hobbs. Bag, Aurora London. Earrings, New Look (I think!). Day 0: Well that sounds a bit dramatic, doesn’t it! 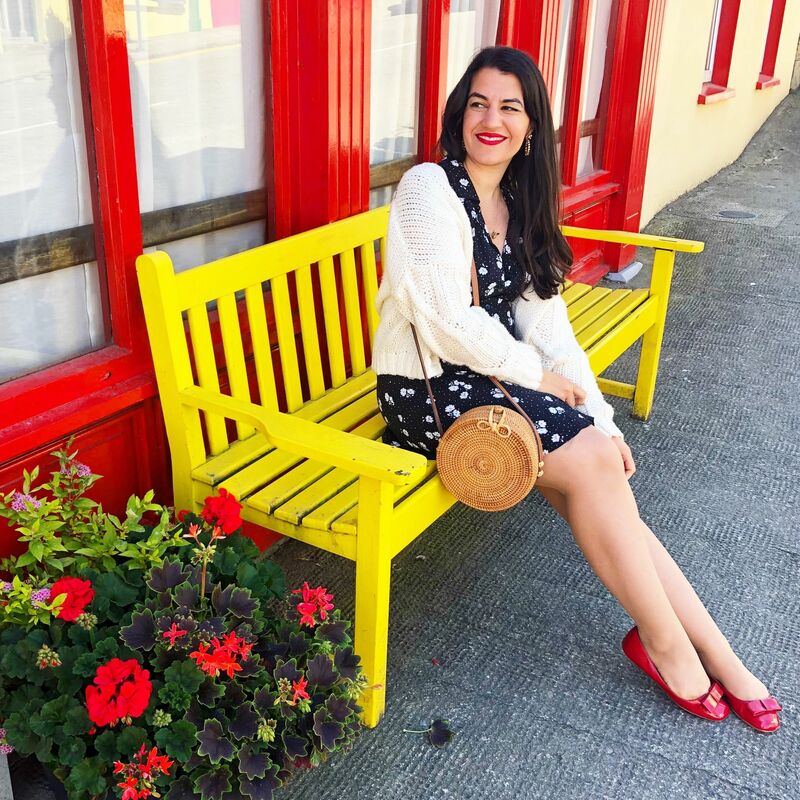 I just thought I’d throw in this picture for fun and to show off my cute lemon dress from Boohoo, as this is what I wore the day we flew from London to Cork. Travel in style? I always try! 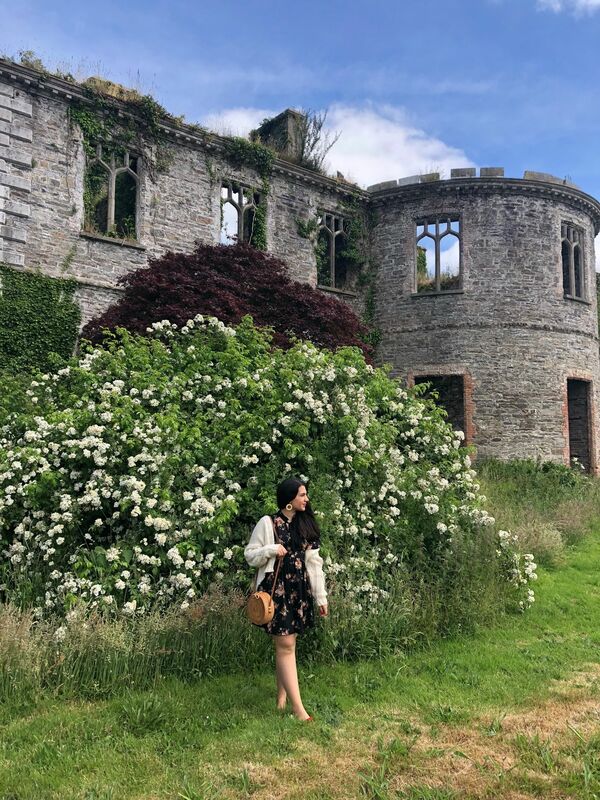 Our time there was short but oh-so-sweet – Cork is a beautiful county and I’ve already got a list of places I’d like to visit there next. Also, kudos to my little cream cardigan, basket bag and wicker earrings for keeping me cosy and making me feel just a little more cool. Stick to what you know and love when it comes to travelling in comfort! 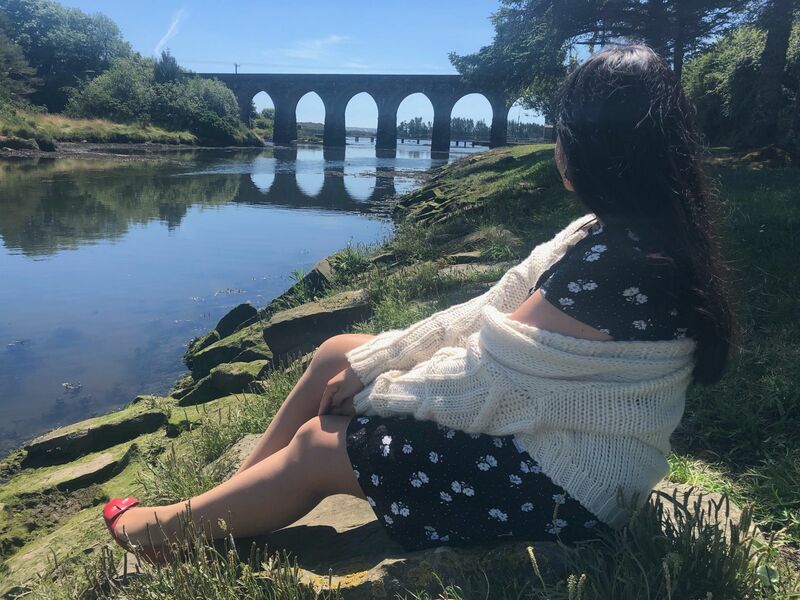 Pictures taken between the 20th and 25th of June 2018 in various parts of the county Cork, Ireland.